Artemis appears to be an above average dry dog food. Protein is about average, however fats are lower and carbs are a bit higher. At the time of this review, it’s estimated cost is $2.12 per lb. 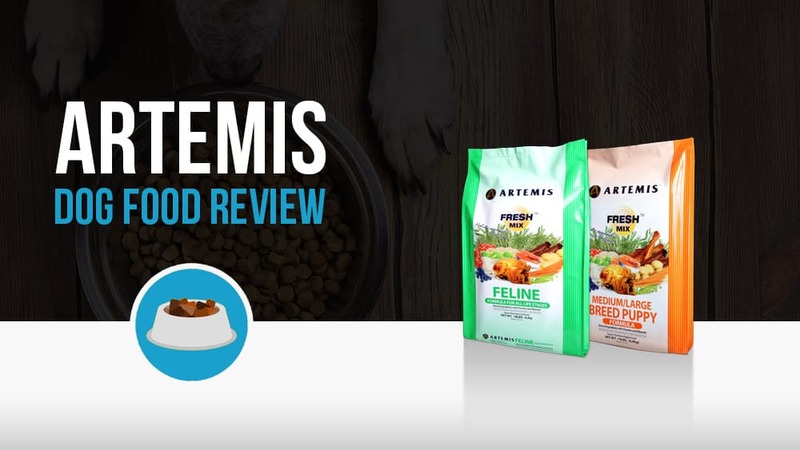 Artemis is a younger brand as far as pet foods go, but in the time it has been on the market it’s made quite a splash on the holistic pet food sector. 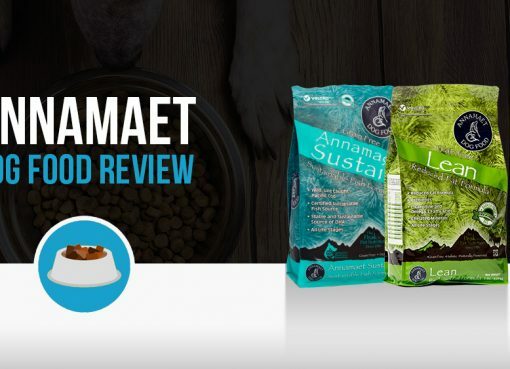 The company pledges to “supply the necessary nutrition to dogs at every stage of life, from puppyhood to the golden years” and provides a balanced, well-rounded diet in every bag using only the most wholesome ingredients available. 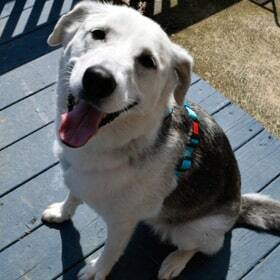 For this review, we’ll look at Artemis’ Fresh Mix formula for adult dogs. Analyzing the first 10 ingredients in a dog food is a great way to understand the overall nutrient content of the dog food because AAFCO requires all dog food ingredients to be listed in order of predominance by their weight. Here’s a closer look at what’s inside Artemis Fresh Mix Medium/Large All Life Stages. Chicken, Chicken Meal, Turkey, Barley, Brown Rice, Oatmeal, Millet, Peas, Pea Flour, Egg Product, Chicken Fat (Preserved with Mixed Tocopherols), Tomato Pomace, Duck, Salmon, Flaxseed, Natural Flavor, Fish Meal, Salmon Oil (Source of DHA), Choline Chloride, Dried Chicory Root, Kelp, Carrots, Apples, Tomatoes, Blueberries, Spinach, Cranberries, Rosemary Extract, Parsley Flake, Green Tea Extract, Barley Grass Extract, L-Carnitine, Dried Lactobacillus Acidophilus Fermentation Product, Dried Bifidobacterium Animalis Fermentation Product ,Dried Lactobacillus Reuteri Fermentation Product, Vitamin E Supplement, Iron Proteinate, Zinc Proteinate, Copper Proteinate, Ferrous Sulfate, Zinc Sulfate, Copper Sulfate, Potassium Iodide, Thiamine Mononitrate, Manganese Proteinate, Manganous Oxide, Ascorbic Acid, Vitamin A Supplement, Biotin, Calcium Pantothenate, Manganese Sulfate, Sodium Selenite, Pyridoxine Hydrochloride (Vitamin B6), Vitamin B12 Supplement, Riboflavin, Vitamin D Supplement, Folic Acid. Chicken: Chicken is an extremely common meat used in dog foods and typically the cheapest meat source available. There’s nothing wrong with feeding your dog chicken, but it’s also not uncommon for dogs to have a chicken allergy. If you find your dog excessively itching, it would be best to try a dog food with no chicken products. Artemis really only makes two different lines of food, OsoPure and Artemis. Within each of these lines, however, there is a wide variety of diversity, and the company also makes canned food and treats as well. OsoPure is Artemis’ limited ingredient, grain-free diet that is meant for pets with food sensitivities. Despite that, however, the OsoPure line is great for all dogs, and makes use of a wide variety of meats, such as bison, salmon, turkey, and duck in its bags. Interestingly, every bag of OsoPure also makes use of the garbanzo bean, both for added protein as well as for its nutritional benefits, as well as antioxidants, vitamins, and minerals to make sure that all of your dog’s nutritional demands are met at every meal. Fresh Mix, Artemis’ second brand, comes in three available varieties: Small Breed, Medium/Large Breed, and Weight Management/Senior. The first two brands are available for all life stages, while the last is not exactly recommended for puppies because it lacks the high quantities of healthy fats and proteins young dogs need to grow. Chicken and turkey provide the bulk of the nutrition for the Fresh Mix blends, and these are supplemented by a number of other healthy ingredients, as well as rice, and several additional vitamins, minerals, and oils that are specifically selected to ensure that you dog not only feels its best at all times, but that it looks great too. Artemis pet foods was founded in Carson City, California, in 1998, and quickly exploded onto the scene to become a major competitor in the game. Over the last two decades, the company has more than tripled in size and has gained a loyal, and highly vocal customer base singing their praises at every opportunity. The brand has also begun to become highly active on social media, and even maintains an Instagram page that is updated fairly regularly to show some of their happy customers enjoying their product. Other than that, the company website does not provide a whole lot of information on the company’s history, and not much else is available on the web at this time. It seems that at one time or another they also had a Wikipedia page, but that page has since come down, which really hampers our information on the company. Artemis foods are available on at least two continents (North America and Australia), but it is still not a household name and can be difficult to find, especially in certain parts of the country. 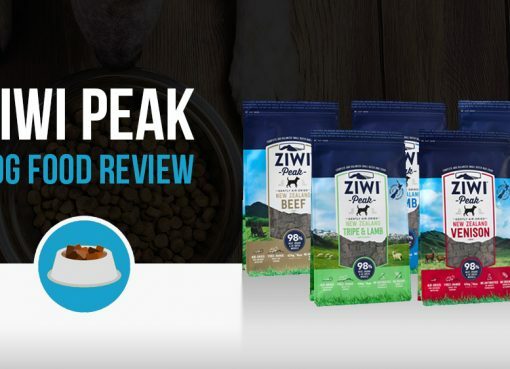 A number of specialty pet food stores might carry the brand, but for those who are really trying to get their hands on a bag, the best bets are to turn to websites like Chewwy.com or Amazon. The company website also sells their food direct to customer, and as an added bonus for those using the site, first time buyers are able to get a 25% discount code found at the top of each page.